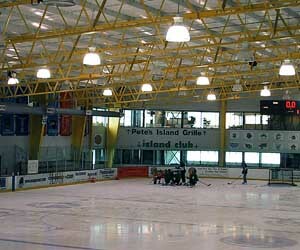 A 130,000 SF athletic facility with 2 indoor ice skating rinks, fitness center, 2 covered exterior sports rinks and a restaurant. High performance glass and insulation as well as sunshading device and daylighting into full depth of the 200′ deep structure were introduced to make the large volume of space as energy efficient as possible. 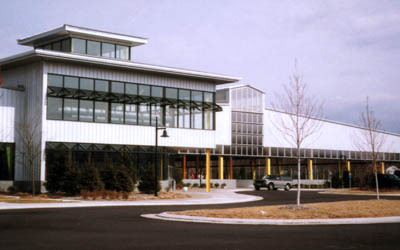 Project was built on a Super Fund site for Hillman Company.